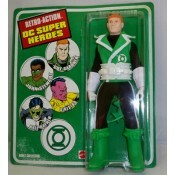 Guy Gardner, sporting his trademark boots, smirk, and haircut, was picked to be Hal Jordan's Gree.. The fourth Green Lantern from Earth is also the fourth of our exclusive 8" Retro-Action™ DC Super..
"To instill fear is to instill order." Sinestro, former Green Lantern great and leader of the Sin..
8" Retro-Action™ DC Super Heroes! 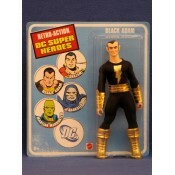 DC Super Heroes Retro-Action - Black Adam. Each figures do..
8" Retro-Action™ DC Super Heroes! 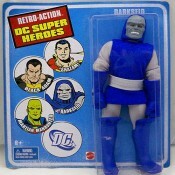 DC Super Heroes Retro-Action - Darkseid. Each figures doll..
8" Retro-Action™ DC Super Heroes! 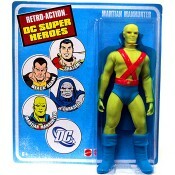 DC Super Heroes Retro-Action - Martian Manhunter. Each fig..
8" Retro-Action™ DC Super Heroes! 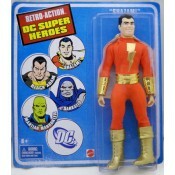 DC Super Heroes Retro-Action - Shazam. 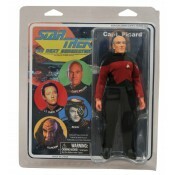 Each figures doll i..
Tough marine, Green Lantern Honor Guard, member of the Justice League… we couldn't think of a mor..